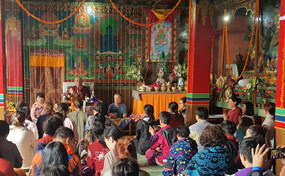 October 4th 2018, the Rangjung Yeshe Institute staff and students were delighted to witness the inauguration of the new Rangjung Yeshe Library. Chokyi Nyima just returned from his 4 weeks teaching tour in Europe. He visited Gomde Germany- Austria, Gomde Denmark, Gomde UK and Gomde Pyrenees. New Center for Studies of Buddhist Languages! Today, Chokyi Nyima Rinpoche announced the establishment of a new center for the study and preservation of all Buddhist canonical languages at Rangjung Yeshe Institute in Kathmandu. 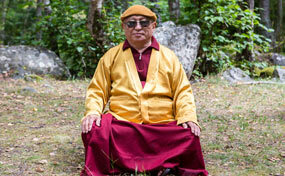 Chokyi Nyima Rinpoche has begun his Summer 2018 Teaching Tour. 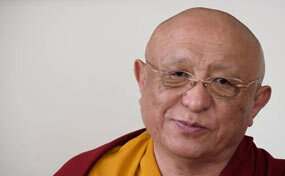 For those unable to attend, Rinpoche kindly agreed to make the teachings offered at Gomde Germany-Austria available online in their entirety for students all around the world. 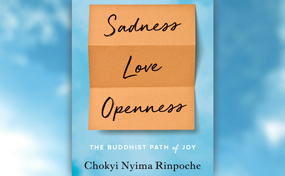 On the 3rd of July, Rinpoche's new book Sadness, Love, Openness: The Buddhist Path of Joy will be published. 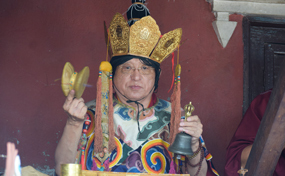 Recently about 150 Chinese students traveled to Asura Cave to receive teachings from Chokyi Nyima Rinpoche. Chokyi Nyima Rinpoche and Phakchok Rinpoche presided over the rituals and ceremonies after the passing of our dear friend Greg Whiteside. Extremely sad news. 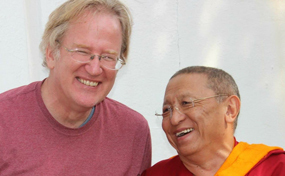 Our dear Dharma friend, Greg Whiteside, passed away this morning. It is with a very heavy heart that I am writing to share with you all some extremely sad news. This morning my dear Dharma student, Greg Whiteside, passed away here in Kathmandu following a short period of serious illness. The monks of Ka-Nying Shedrub Ling received their exam results today.